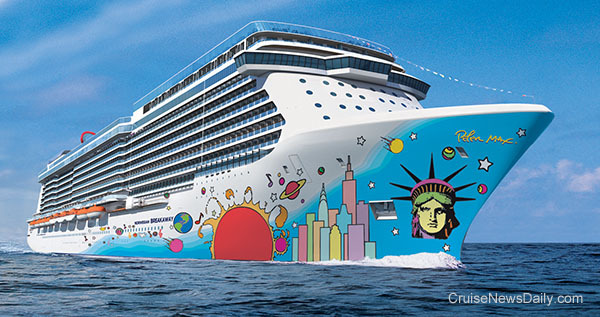 Norwegian Cruise Line today gave the world the first look at Norwegian Breakaway's distinctive hull artwork designed by noted artist Peter Max. It is the first time the line has commissioned hull art for one of their ships from a "name" artist. The line features artwork on the hulls of all their vessels. Norwegian Breakaway's will have a New York theme tying in with the ship's New York year round home port.